Israel has a relatively attractive figure: tall with narrow hips; the midsection widens then tapers off at the feet. Galilee occupies the north, the Negev Desert stretches in the south, and at the center of things – Tel Aviv. For the past several years, the government through its ministry of transportation is attempting to decentralize the country. 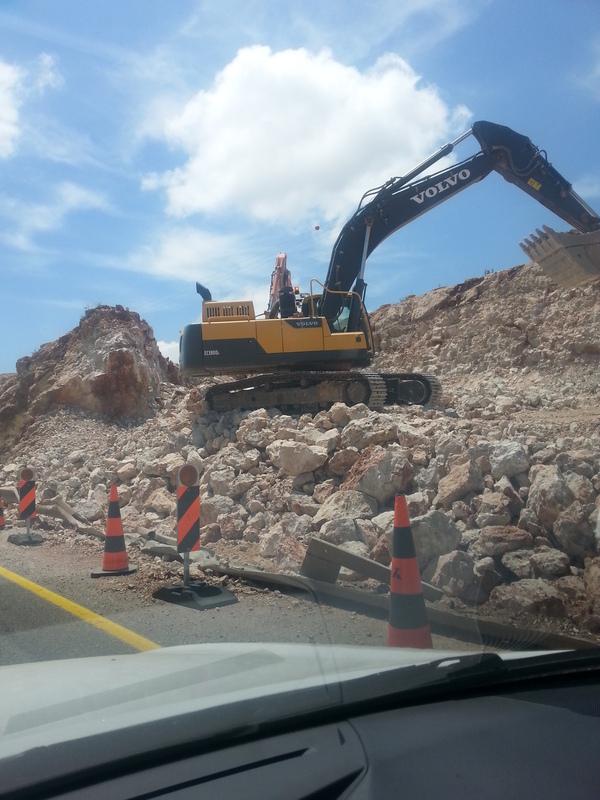 Around Galilee where I live there’s highway and bridge construction that would make proud a nation ten times Israel’s size. 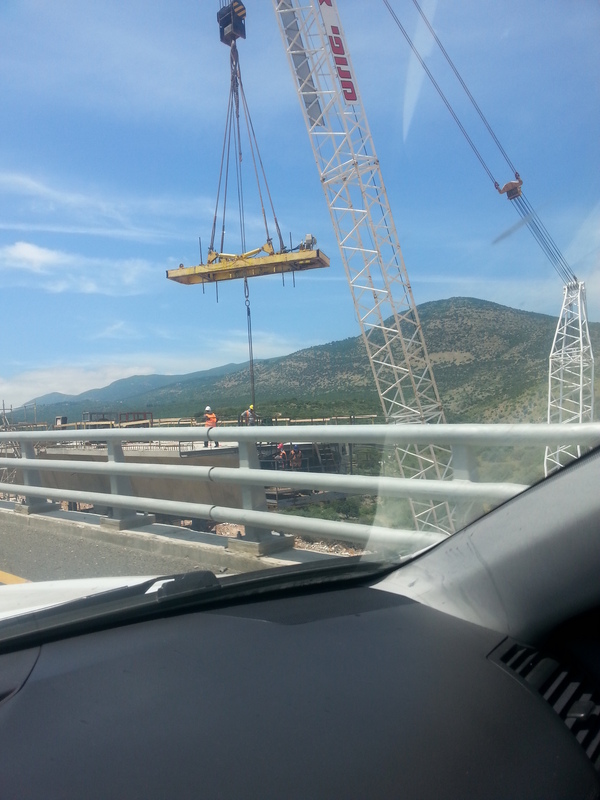 Mountains are being shoved aside, cranes, bulldozers carry giant boulders like toy things. Trucks haul dirt by the millions of cubic yards. Driving to teach in Upper Galilee I eat red dust for breakfast, and on my return, brown dust for lunch. As much as these 21st century modern highway arteries pump blood into Galilee and Negev Desert, they have really one purpose in mind – to connect them, you guessed it, to Tel Aviv. Everyone in the media and in government talks about the need to develop the outer fringes of the country at the expense of the center. It’s just talk. These new roads and bridges don’t keep thousands of young men and women from swarming to Tel Aviv and its suburbs. Tens of kilometers of railway tracks being laid down have one purpose – bring the masses to Tel Aviv. 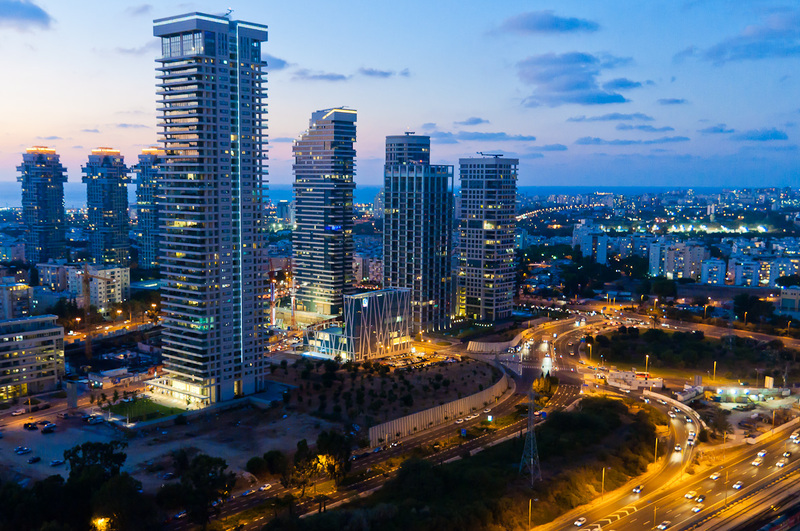 Israelis (and foreigners) moving to Tel Aviv are willing to put up with horrible traffic, congestion, apartments the size of shoe boxes, arrogant landlords who demand one year’s rent up front. Why put up with such abuse? Jobs. Hipness. Vibe. Sea. Opportunity. These are some of the reasons. Galilee is 60% Arab. So I’m a minority of sorts in my own backyard. The Negev, mostly desert, is vast and desolate. The Israeli military will be moving many of its Tel Aviv installations to the Negev in the coming years. While Tel Aviv gets more freed up land for sky scrapers, the Negev gets army barracks and training grounds. Galilee gets domestic tourism and food-processing plants. Tel Aviv gets it all, the rest of Israel gets scraps. Jerusalem? Yes, it’s the capital and the seat of government, and not much more unless you count 40% disgruntled Arabs in the East of the city, and pockets of ultra-orthodox Jews who still think they live in 19th century Europe. What about the West Bank, aka Judea and Samaria? The 400,000 Jewish settlers there don’t care much about Tel Aviv; they’re too busy surviving, praying, and fighting the Palestinian Arabs over land. Why fight them there when you could come and fight good-old native Arabs in Galilee? I step outside my Kfar Tavor home in Galilee and go for a walk in the beautiful trails and fields. Almond, olive and grape vines surround me. It’s pretty. But ask anyone in Tel Aviv if they’d be willing to move here, and you’ll get a laugh. Sure, it’s romantic, it’s reminiscent of the days the first Jewish immigrants returned to the Land of Israel, the air is cleaner (most days), and… that’s about it. I keep walking down the trails. In the very distance, I see the hillsides of Jordan. If I were to get in the car, I’ll be in Lebanon in one hour. 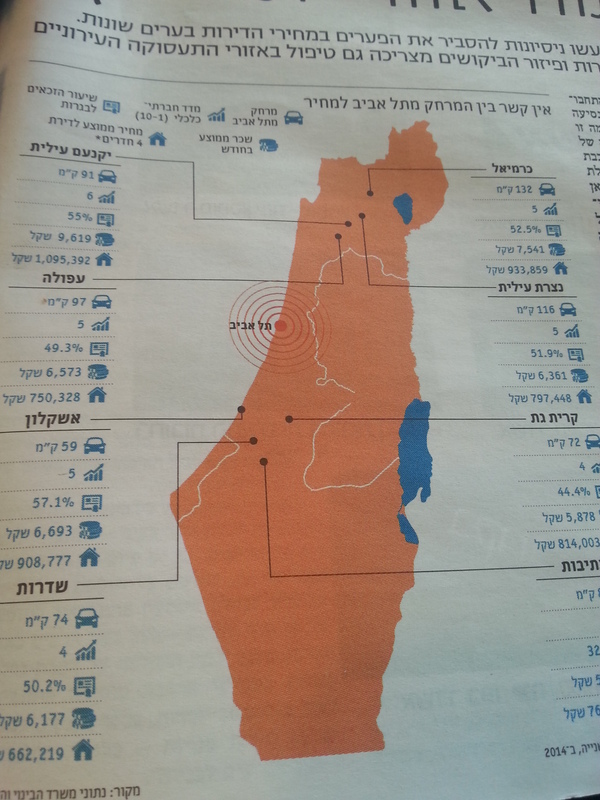 Although Tel Aviv is less than 2 hours away (110 km), it’s a different country. I get in the car and drive to Zefat in the north. Hammers pound the roadside. Concrete is being poured. Men flatten black, steamy asphalt with rakes. For whom, I wonder? The radio’s on. Patriotic Israeli songs about the good old days (in Galilee) are heard. I tap my fingertips on the steering wheel. Dust hits the windshield. Haze all around.